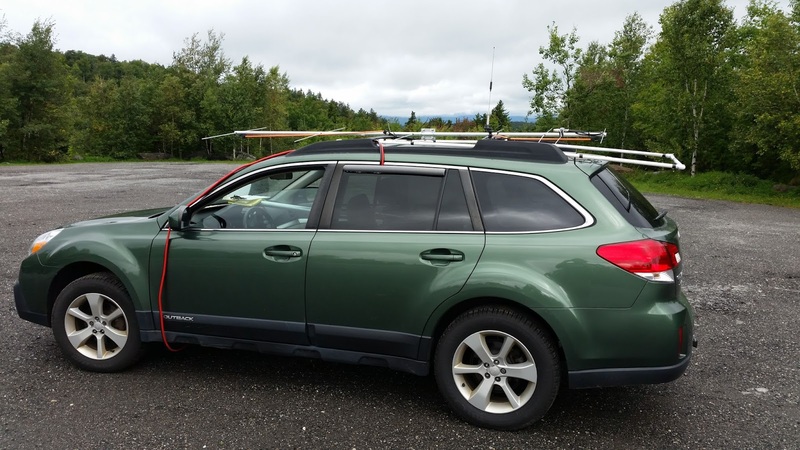 Sean - Nice report on first rove and a nice score to boot. All of those things have happened to us rovers at one time or another, so don't feel bad about it. I am not sure how or why you partitioned the bands the way you did, but for June, or even January where there is Es, you might be better off with 6M on one radio and 2M, 222, and 432 at the other position. 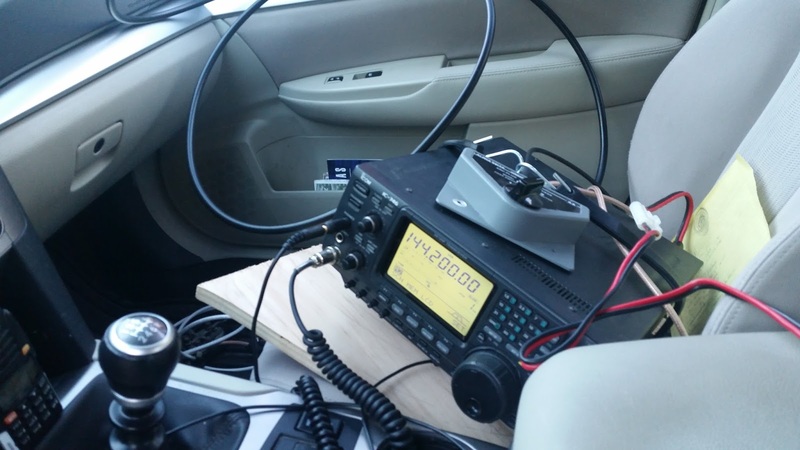 One usually makes initial contact on 2M, so if you are going to QSY the bands, which you should, then it is easier to do that all on one radio. 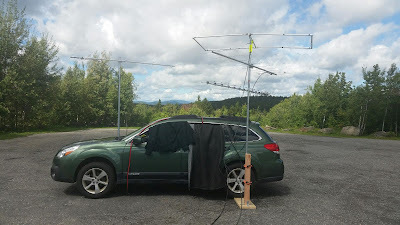 Then go to 6M last, as that has the fewest QSO points and will hurt the least if you miss it. 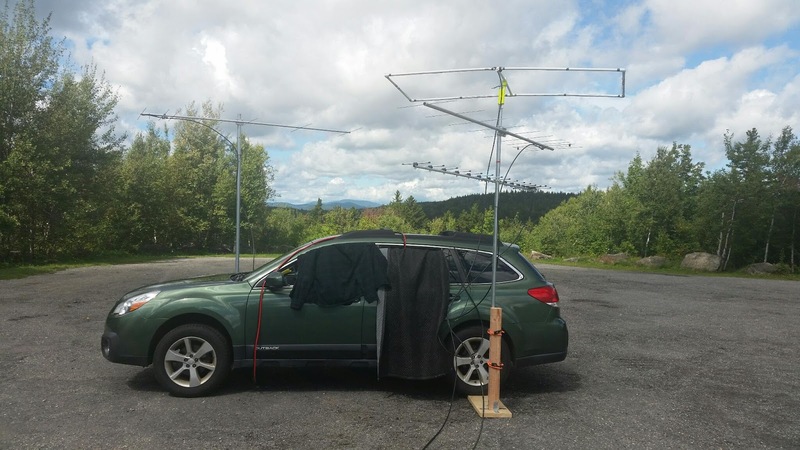 In September it doesn't matter much as there isn't much activity on 6M, but in June you could lose a lot of QSOes by not having a separate 6M station. My radio is the IC746, with 100W out on 2m. Chris has an IC7000, which is 50W I think on 2m. The 746 also doesn't have 70cm, which the 7000 does. We left the 222 station on the IC7000 because it was Chris' transverter and if we goofed and fried it, he would fry his own gear. I also had my own transverter for 23cm, but it was unclear if it was working so we didn't use it. We may add dedicated IF radios, which might help with leaving 6 and 2 up full time. I have a battery isolator solenoid thing, commonly used by the off road crowd. I had missed a part (the add-a-fuse required to power it) and ran out of time to get it all together. If I can get that together it'll work, I also intend on power poling the cables to the battery for quick disconnect if I want. I think I looked at the ISOpwr and had a concern about current draw, both the 746 and 7000 TXing at the same time pulls more than it's rated for. My solenoid is rated for 250A, if I cook that I have other problems. I have a few other things I need to iron out with power, but it was working pretty well. The worst part that I can't fix is the weight, 2x100Ah AGM deep cycle SLABs weigh in at around 120lbs.